Evaluating and analyzing a fire scene using a systematic method to determine the origin and cause of the fire. Understand and apply systematic approach and scientific method to determine the area of fire origin, then cause. Identify methods of testing and eliminating hypotheses (as part of the scientific method). 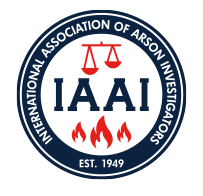 Program topics include: NFPA 921 Chapter 18 – Origin Determination, NFPA 921 Chapter 19 – Fire Cause Determination, NFPA 1033, Fire Scene Investigation, Ignition Sources, First Fuel Ignited, Cause Classifications, Fire Investigation Methodology, Initial Response, Examination, Fire Patterns, Fire Effects, Ventilation, Reconstruction, Accidental Sources of Ignition, Evidence of Incendiarism, and Hypothesis Development & Testing.